Fireworks are one of the many things that people look forward to during a Fourth of July celebration. However the malfunction and improper use of fireworks often result in severe injuries in Phoenix. >If you have suffered injuries because of fireworks, it is imperative that you contact a fireworks injury attorney as soon as possible. You will be able to get a free case evaluation. The purpose of our free case evaluation is to determine the person who is at fault. In some cases, the person who hosted the event is held responsible. In other cases, the fireworks manufacturer may also be held responsible. 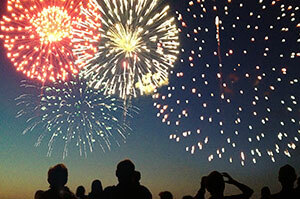 According to the U.S. Consumer Product Safety Commission (CPSC), fireworks-related injuries are on the rise. In 2013, 11,400 people were injured due to fireworks. In 2012, there were 8,400 people injured. This means that the fireworks injuries increased by 31 percent from 2012 to 2013. It is estimated that 38 percent of fireworks injuries affect the head. Fifty-five percent affect the extremities. Fireworks often result in many fires. In fact, it is estimated that more fires occur on Independence Day than any other time of the year. Emergency rooms say they have seen everything from minor burns to nerve tissue damage. And officials say victims in many cases have had too much alcohol. To keep celebrations from turning tragic, officials suggest responsible drinking and being aware of your surroundings. At Phillips Law Group, our personal injury attorneys are committed to helping you get the legal help you need. You could be compensated for the injuries that you have suffered due to fireworks. Our firm is experienced and has helped many people who have had cases like yours. For a free claim review, call or text 1-800-706-3000 or fill out an online contact form.